To sign up to the Air Transat - Cheap Flights to Canada Newsletter, simply click the Request Newsletter button below and you will receive amazing special offers, discounts and access to secret sales. Canada should be for everyone! Breath-taking landscapes, incredible wildlife and infinite outdoor opportunities, Air Transat want everyone to be able to get there. This enewsletter will sign you up to seasonal offers on flights and discounts on already cheap packages - helping you reach the Canadian shores quickly, easily and cheaply. 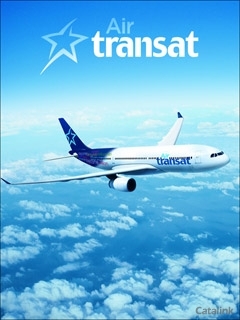 Why fly with Air Transat? Sign up to the Air Transat newsletter today for cheaper fights to Canada tomorrow! By Pressing the Request Newsletter button you give Air Transat - Cheap Flights to Canada (and their Data Processors for the specific purpose of delivering your emails) consent to send you their newsletter via email until such time as you choose to unsubscribe.